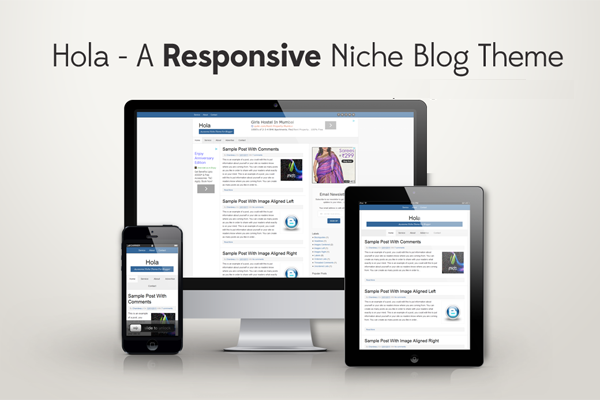 Hola Responsive is a Theme specially designed for Niche Blogs. So, In this theme I haven't focused on design (As Niche Blogs usually uses simple design.) Instead I focused on Ad placement, Site Loading, SEO and Responsiveness. It has a three column layout with simple design, So It'll easily blend with ads (Helps to Increase CTR). See the live demo for better understanding. It's optimized for Structured Data (Google Rich Snippet), Which plays a major role on SERP Appearance and Ranking. Now search engine can understand your site much better. you can check Google Rich Snippet Data Testing Tool to verify ;) Even After Placing Ads, It still Rocks on page speed(87/100).